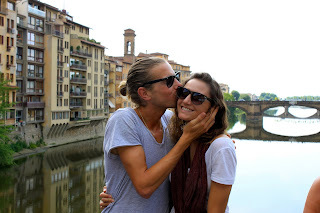 During my first week here in Europe, I traveled to Firenze, Italia (Florence, Italy) with Aron and his parents. What an amazing first impression! Firenze is stunning. She's beautiful, she's classic, and she has lots and lots of character! 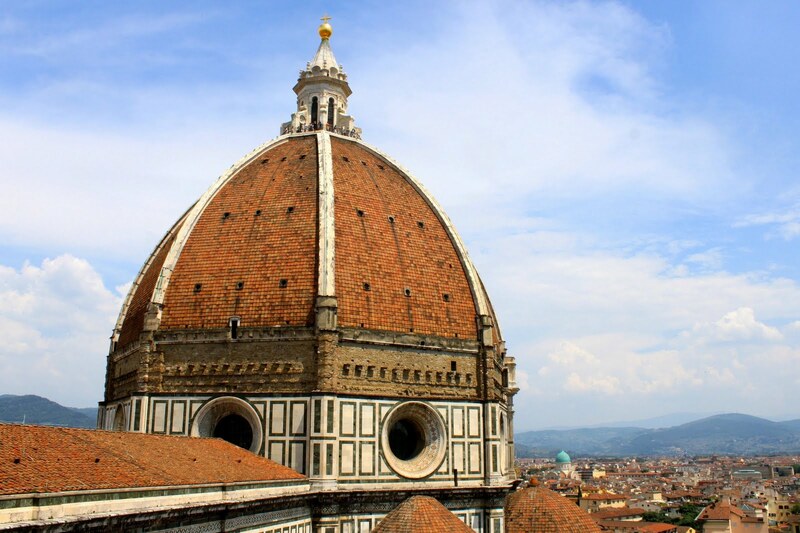 The city lies along the Arno River, with Il Duomo (the Dome) cathedral as the main focal point. Everything about the city oozes culture and sophistication. Regardless of which part of the city you visit, it's likely you'll discover some important historical building, statue, or artifact. We were only there a total of three days, so I definitely want to go back when I have more time to really explore the city. This trip was focused mostly on getting that authentic Italian experience: i.e. the food. For Aron's mother Gigi, Firenze is like a second home, so she was the perfect tour guide, taking us to the best of the best hole-in-the-wall family-owned restaurants and beautiful terraces overlooking the sea of red rooftops for drinks. I was even surprised with Aron, whom seemed to know the city fairly well, and translated beautifully for me whenever I needed to communicate more than "grazie," or "dove," in Italian. The market in Firenze was absolutely mouth-watering. The entire place was brimming with prosciutto, cheese, freshly-baked breads, chocolate, and basically every other delicious Italian food. Though we went to several shops, my favorite was the last we visited. The man who worked there made sure we tried a variety of his best prosciutto and cheese, and even poured us each copious amounts of complimentary wine. Mmmmm. 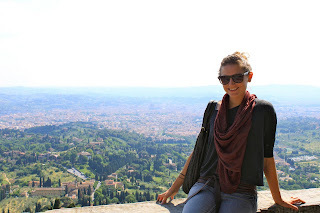 I think it was one of my favorite experiences in Firenze. I opted out of visiting some of the more popular tourist attractions like The David this time around since I only had three days. I figured spending time exploring the city and tasting the food would be better use of my time than waiting in lines for hours and hours. And, I'm happy with my decision. Just getting the chance to walk through a place of such huge importance to not only art, but culture, and history throughout the world was rewarding enough. 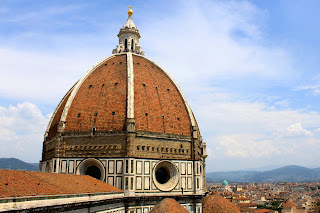 For more pictures from my trip to Florence, please visit my album "Ciao Firenze!" on Facebook. 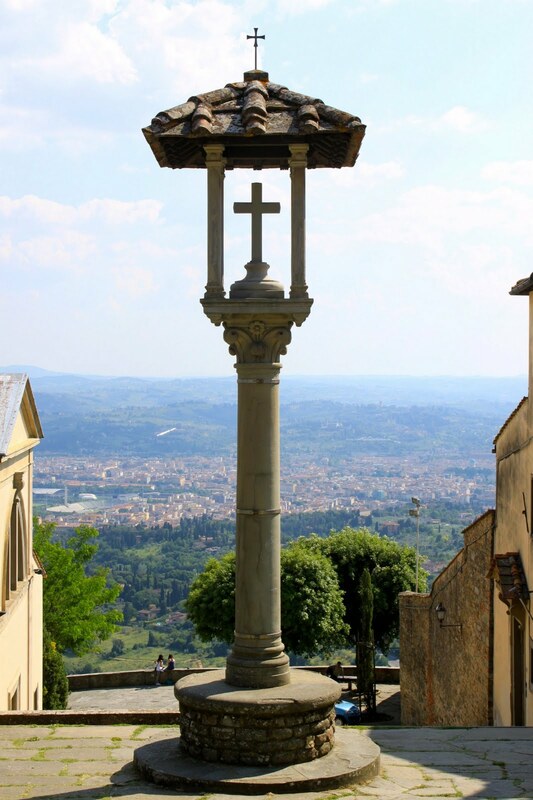 View from the monastery in Fiesole.